The awesome bottle opener handle makes this a very cool pocket knife. Bottle opener handle pocket knives for sale at wholesale knife price. This cool pocket knife is definitely an EDC knife. 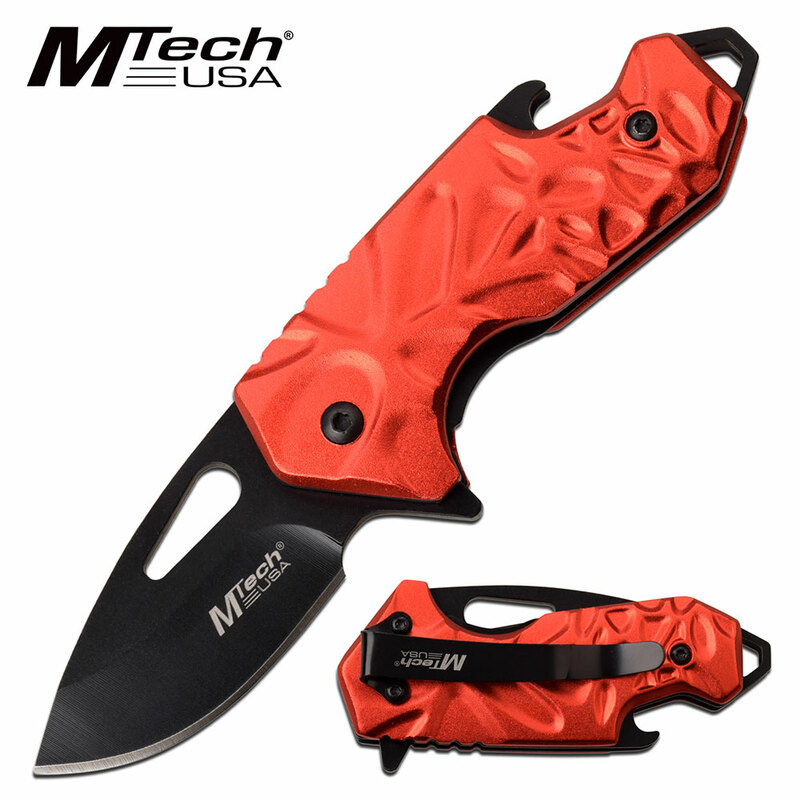 It's many features include small size which fits comfortably in your pocket, the spring assisted opening mechanism which opens the blade at lightening speed using only one hand, it's razor sharp steel blade and most importantly the awesome bottle opener handle makes this a very cool pocket knife. The small size makes this pocket knife deadly as no one can see the knife in your hand. The overall open length is 5.25 inches long. The totally legal 2 inch blade is made from 3cr13 steel. Anodized aluminum handle is 3 inches long and has bottle opener and pocket clip.